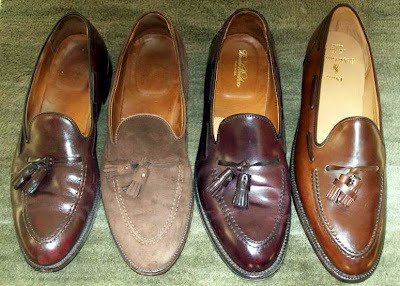 I'm partial to C&J, but have only had one pair from J&M, Deerfield II, back in my younger days. Winsome picks…especially the Alden. I am beginning to wonder why I wear anything but great dress shoes. Each time, regardless of apparel, compliments are forthcoming. I do love my topsiders though. Hello i love your choices of tassel loafers, do you have many pairs?